Do you ever notice God picking a theme for different seasons of your life? Is there something specific that He is teaching you right now? At night, my little people look forward to Bible time with me. They ask for it. Recently we read about the Tower of Babel, and there were so many questions! Why did God confuse the language of the people? Why didn’t one people group stay and continue working on the Tower? Why didn’t they come back to it later? Why didn’t God return their languages later? And so many more… until I finally told my persistent 7 year old son that this is when we remember that God always has a plan and his plans are good, and for those of us who love Him and live for Him, He has promised that all things will work together for our good. Because God is faithful, we can trust Him no matter what, and that means we can have peace no matter what happens. That ended our discussion. Children were happy, but something stirred in my heart. As I tucked the littles into bed that night, I felt God remind me that He’s not just faithful. He is perfectly-faithful. How many other qualities of God’s character can you name? I just stood in awe. God took everything I knew of Him and carried it deeper. 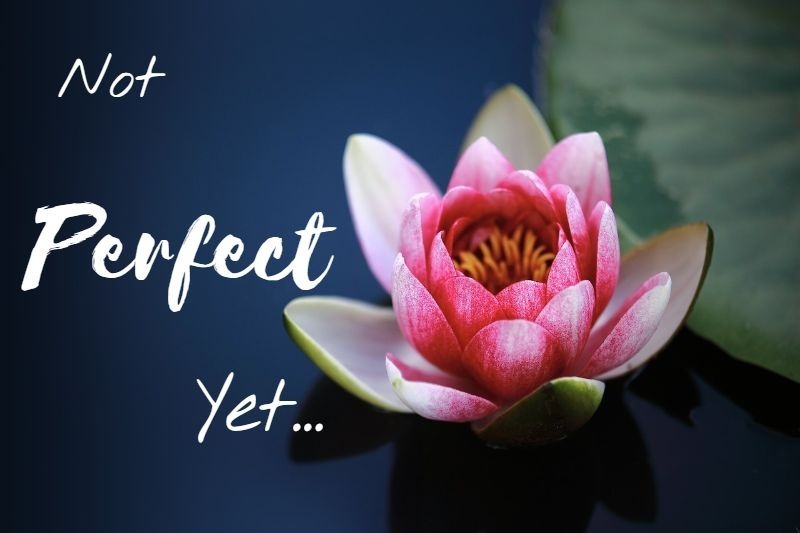 What do I know about perfect in a world where everything is marred by the consequences of sin? How do I wrap my head around something I cannot completely understand? How do I intelligibly communicate it to someone else? I carried this around with me the next few days. I decided I wanted to take time aside to study each of God’s attributes and meditate on them. Jen is a teacher at heart, and I am appreciating her writing style. She tackles the issue a lot of Christians have today with feeling paralyzed by a need they feel for direction in their lives. “What Should I Do?” they ponder, and they worry about whether their choices are keeping their path in God’s plan. Kevin DeYoung and Joshua Harris wrote a book called, “Just Do Something” in which they tackle this subject, telling young people that for most of us God doesn’t care so much about WHAT we do as how we do it… simply living in a way that honors God in the process. And if God does have something big planned for us to do? Well, God steers moving ships. The Bible tells us that if we want to know what God the Father is like, look on Christ who was the exact representation of His Father. Who should I be? I am to be like Christ. However, a distinction is made between those attributes of God that are only able to be filled by HIM, and those which He commutes to us and expects us to live out in a practical way in this life. Only God is infinite, incomprehensible, self-existent, eternal, immutable, omnipresent, omniscient, omnipotent, and sovereign. For us to strive to be any of these things would be to strive to be God. We can’t be. Jen addresses these traits in another book, called “None Like Him: 10 Ways God is Different From Us (And Why That’s a Good Thing)”. I have not read that book, though I hope to at a later date. But those traits that are commutable? 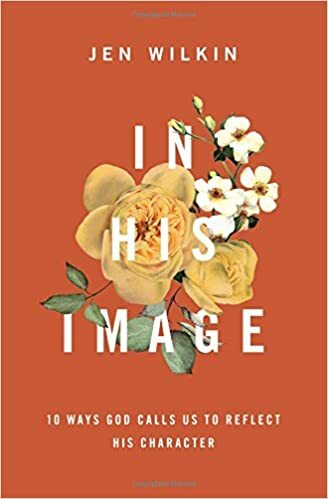 Those that are addressed in “In His Image” are: Holy, Loving, Good, Just, Merciful, Gracious, Faithful, Patient, Truthful, and Wise. So, what is Holiness? It has two definitions. A communicable trait; God gives us His holiness and tells us to be holy because He is holy. What makes God completely different from us and anything in creation. Not a communicable trait. It is who God IS. Based on repetition, God wants us to remember that He is holy. The word is repeated almost 700 times throughout the Bible. No other word is used with greater frequency when referring to God than the word holy. The verb form of holy is the word sanctify, which is mentioned 200 times in scripture. Earlier this summer I was reading about the completion of the temple that Soloman built for the Lord, and what happened when the priests brought the ark to rest in the holy of holies. “The priests then brought the ark of the Lord’s covenant to its place in the inner sanctuary of the temple, the Most Holy Place, and put it beneath the wings of the cherubim. 7 The cherubim spread their wings over the place of the ark and overshadowed the ark and its carrying poles. 8 These poles were so long that their ends could be seen from the Holy Place in front of the inner sanctuary, but not from outside the Holy Place; and they are still there today. 9 There was nothing in the ark except the two stone tablets that Moses had placed in it at Horeb, where the Lord made a covenant with the Israelites after they came out of Egypt. If you read Isaiah 6:-3, you find that the temple mirrored what is present in the holy of holies in heaven. In the presence of God’s holiness, Isaiah was convicted of his own sinfulness, yet God touched his lips with a hot coal, purifying him, and then appointed him to be His prophet. It strikes me so strongly that we as believers are the temple of God. God’s glory in us should be so great that we are changed and others are affected by His presence in our lives. In this world, if something imperfect and soiled touches something pure and clean, the clean thing is tainted. Yet, God’s holiness doesn’t work that way. Like the coal that touched Isaiah’s lips, when God touches us he takes away our imperfection and gives us His holiness. Then He commands us to live that holiness out in practical terms while we remain in this world. How? While we know from God’s word that He sees us as forgiven and perfect because Jesus’s blood has removed our sin, we still sin. We cannot do this on our own. Yet, God’s Holy Spirit fills us… He is constantly in the process of sanctifying us (that verb form of holiness)… conforming us to His will and his character. We are His image bearers, carrying God’s glory within us, set apart and devoted. Compared to the world, we should appear as “other”. Different. Godly. Empowered by God’s Spirit, we CAN live our lives in such a way that His glory will spill over from us and onto others. showing others the perfect love of God, which is the next attribute of God that I get to enjoy meditating on and savoring. Yes, God is perfectly faithful. He is faithful out of utter purity of character. He is perfectly loving. He loves out of utter purity of character.